writing, and speaking in English. The Whatcom Literacy Council offers a variety of free classes throughout the year around Whatcom County. Talk Time: practicing English conversation. Preparing for the GED (General Education Diploma). Learning and improving basic computer skills. Open Computer Lab: learn to use online educational resources. The Whatcom Literacy Council offers a variety of classes throughout the year around Whatcom County. 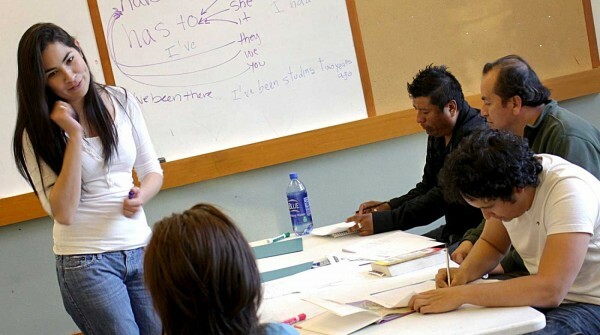 Classes meet in public locations that are accessible and familiar to our learners all over Whatcom County. Class sizes are small allowing learners to communicate directly with facilitators. Learners may join at any time and attend multiple classes. All levels of education are welcome. Class sizes are small allowing learners to communicate directly with classroom facilitators. Learn and build social skills working in small groups. For more information about classes, please contact the Small Group coordinator.